the museum of the oregon territory's most valuable resource is our incredible volunteer community. If you love History and want to get involved with our exciting team email volunteers@clackamashistory.org for more details. LOOKING FOR AN INTERNSHIP? SEE OUR OPEN INTERNSHIP POSITIONS FOR MORE INFORMATION. Our organization is dedicated to enriching the lives of current and future generations through collecting, preserving and interpreting the history of historic Clackamas County. 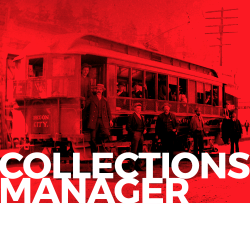 Jenna has a professional background in historical collections and the arts. Prior to her position at CCHS she worked as a research assistant for The Oregon Encyclopedia. In 2018 Jenna received her M.A. in History and Public History from Portland State University. Her field of interest includes Pacific Northwest history and women’s history. Her most recent project examines Oregon’s female murderers between 1854 and 1950. With a background in Illustration & Graphic Design, Waldo started as a member of the CCHS Volunteer Community and has been curating the historical society's media presence since 2016. In addition to managing the Clackamas County Historical Society social media presence and on-site technology, Waldo has also designed many of the assets featured at MOOT. Sara enjoys Oregon history, museums and working with people. Thankfully her job combines all three aspects. She is descended from Oregon and California pioneers and as a child enjoyed reading all the books she could find on the Oregon Trail and sewing 19th century clothing. While growing up on the West Coast, visiting museums was her favorite thing to do on family trips and she has enjoyed volunteering over the years at the Robert Newell House and Champoeg State Park. We are currently not looking for new team members at this time, however we are always accepting applications for dedicated volunteers and interns. 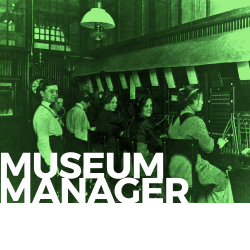 Please contact Sara if you are interested in volunteering at the museum of the Oregon Territory or Stevens-Crawford Historic House.